Raise your glass, because all April long we’re toasting Houston’s resident and migratory birds. 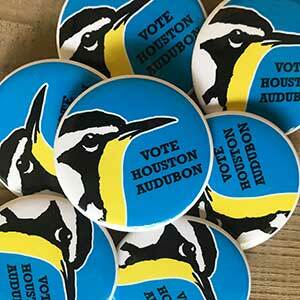 Houston Audubon is excited to announce that we’re participating in OKRA Charity Saloon starting April 1st. All you have to do to support birds is stop in and buy a drink (or two)! Each drink purchased at OKRA will get you one vote to cast for the charity of your choice. We’re competing against three other charities, and the organization with the most votes will receive OKRA’s proceeds for the following month. 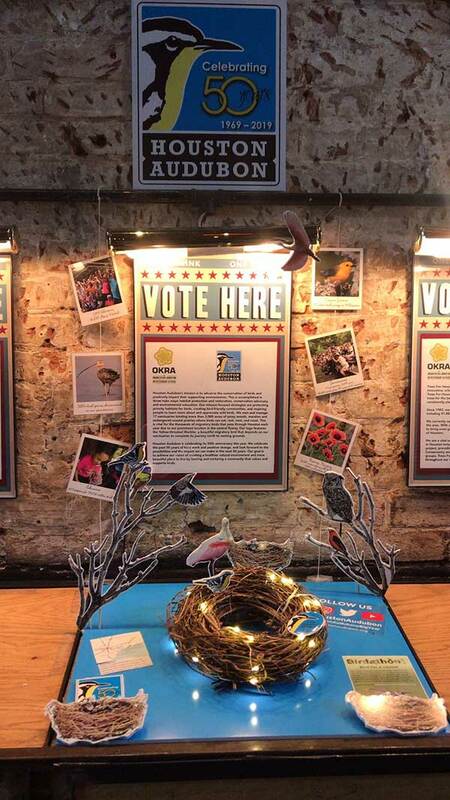 This is a huge opportunity for us to raise funds to continue supporting birds and wildlife, so gather your flock and head on down to OKRA to vote for Houston Audubon! We’ll be hosting some fun events at OKRA as well, so stay tuned for event announcements throughout the month. Help spread the word even further by sharing this news with your family and friends. See you soon!